Whilst most of the animated comedy industry will be focused on a Family Guy and The Simpsons cross-over and a South Park season premiere airing this week, some fans of a certain cult show in the genre will have their eyes trained to a few weeks from now, when Black Dynamite: The Animated Series comes back to air next month. 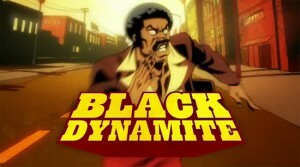 After showing a 10-episode first season and a previously web-exclusive pilot episode in 2012 on Cartoon Network‘s Adult Swim late-night programming brand, Black Dynamite, adapted from the hit live-action blaxploitation parody film of 2009, has been keeping it tight and outta sight for 2 years, but has now been confirmed for its long-anticipated 2nd season of the same length, with a premiere set for Saturday 18 October at 10:30 pm (ET/PT) on Adult Swim. Carrying over much of the cast and crew of the film to work behind-the-scenes on the series, Black Dynamite‘s second season will be overseen by executive producer Carl Jones, and featuring the lead voice talents of co-creator Michael Jai White as the titular character, and supported by Byron Minns, Tommy Davidson, and Kym Whitley, as their characters encounter more unusual and action-filled situations related to 1970’s pop culture. 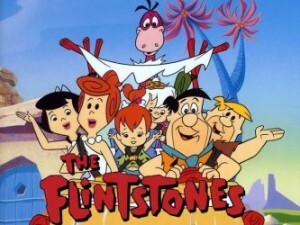 The Flintstones Movie Hinted From Warner Bros. While plans to revive the animated brand in its traditional TV form via genre specialist Seth MacFarlane fell flat, it appears as though The Flintstones will soon make its first non-live action appearance since 2001 with a feature film, reportedly being developed by Warner Bros. The well-known movie studio are claimed by Variety to have recruited Chris Henchy as a writer on the script, whilst also bringing in Will Ferrell (who has plenty of recent experience in both voice acting and ‘business’ if needed) and Adam McKay from Henchy’s Gary Sanchez Productions stable to become executive producers. While the franchise has been converted into two live-action films by Universal (in 1994 & 2000), the primary focus has been on animated content, starting with the main ABC series airing from 1960-1966 lasting 6 seasons and 166 episodes, alongside a range of special episodes, spin-offs, cross-overs, and other media dating through to the turn of the millennium. A comeback to screens was set to occur on Fox through a 2011 deal made with MacFarlane, but after being indefinitely shelved due to his busy schedule, the only other option in sight had been a WWE-backed special going direct-to-DVD in early 2015. Until now. Adult Swim, a cable network known for being the late-night timeshare partner of Cartoon Network, have a wide range of experience in broadcasting non-live-action content in the manner of their host network, though one show that bucks the trend of while retaining the old ‘cartoon’ episode length is set to remain present for a while longer, as Rob Corddry’s Childrens Hospital was confirmed for a renewal by the network. 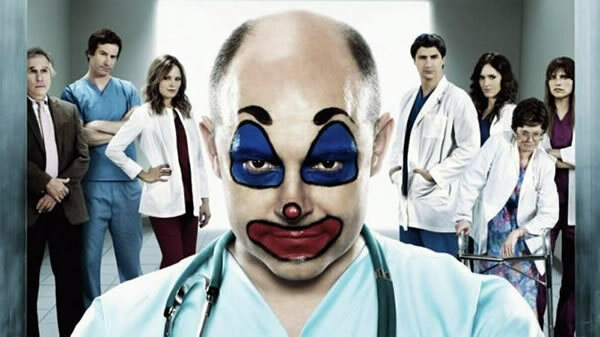 Corddry’s show-within-a-show-style creation (which he also stars in as ”Cutter/Rory Spindell’ as ‘Dr. Blake Downs” (pictured)) started life as a 10-episode web original on TheWB.com, before being picked up by Adult Swim in 2010, since spawning 5 seasons and 58 episodes of ‘spoof medical drama’. Those episodes will be added to in 2015, though, with the renewal set to retain regular cast members including Malin Akerman, Lake Bell, Erinn Hayes, Rob Huebel and Henry Winkler, and a move of the overarching ‘story’ back to the USA after a number of recent 11-minute segments were based in Japan. Hulu have inked a deal that will make kids round the world happy, especially fans of Fraggle Rock. A spin-off from the popular puppet show called, The Doozers, is coming to Hulu April 25. The Fraggles may be 30 years old but they still have an army of fans and The Doozers will reintroduce viewers to the world of Fraggle in 52 11-minute episodes. We will meet 4 kid Doozers called Spike, Molly Bolt, Flex and Daisy Wheel who build things for the Fraggles. The show has been aired in Europe on the Cartoon Network, but the Hulu release will be it’s first showing in the US. They also have the streaming rights for Fraggle Rock, so you can watch both to your hearts content. Hulu have been on a roll with children’s content recently, also recently announced a deal to stream the Pokemon franchise. Subscription streaming brand VuTV have completed a key step in their plans of roll-out in the UK, with the premium platform announced as officially launched on Freeview HD boxes (on EPG #238) for customers in the UK region. The service (operated through co-owners Strategy & Technology and Simplestream with their joint venture ‘Synapse TV’) is offering viewers access to a selection of well-known American TV channels such as Comedy Central, MTV, Nickelodeon, History Channel, Cartoon Network, and CNN. 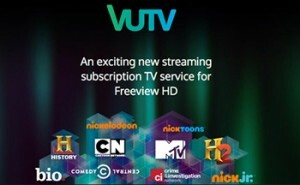 Those ‘Freeview households’ are believed to total over 20 million in the region, making it the UK’s most prominent ‘digital TV platform’, with VuTV targeting the primary audience of internet-connected Freeview HD users that do not hold a pay-tv subscription. The release of the service sees it available at a price of £6.99/month with a 14 day free sample period, as Samsung are recognised as is the ‘first major manufacturer’ that offers full support for the VuTV brand on their Freeview HD-applicable products. Other companies will follow suit in due course, but will VuTV get off to a strong enough start to be considered worth the effort? Whilst some animated TV shows look to expand themselves by launching an official video game, some video game properties head in the opposite direction, and quite quickly if that property is the iconic Sega mascot Sonic the Hedgehog. The Japanese video game company have announced that their prize possession will be made into a TV series in the same animation style (CGI) as their current video game cutscenes, with the project taking on the working title of Sonic Boom. It was announced by Sega in a press release that the show already has a host network in the form of Cartoon Network, who will premiere the series in the second half of 2013. Also having signed an instant contract for the rights to a first batch of 52 11-minute long episodes are Canal J and Gulli who will together hold the French broadcasting privileges, whilst Sega’s partners in other global markets will be announced closer to release. 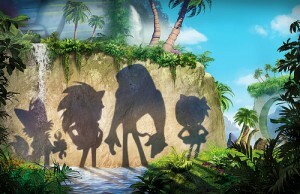 Deviating a little from the ambitious serial shows previously made under the Sonic banner, Sonic Boom‘s format is described by Sega as that of a ‘character-driven comedy’, where leading characters Sonic and Tails search for adventures. They will be joined in the series by familiar characters Knuckles (who appears to have mysteriously ‘bulked up’ going by the picture), Amy Rose, and Dr. Eggman, the latter of whom will be amongst a ‘rogue’s gallery’ of ‘new and familiar enemies’. Management of the format will come from Takashi Iizuka, (leader of game developers Sonic Team), whilst Sega of America and Genao Productions will animate and produce the series. Whilst the character of Sonic has more traditional appearances to keep up in 2013 (featuring in Wii U exclusive titles Sonic: Lost World and Mario & Sonic at the Sochi 2014 Olympic Winter Games, along with featuring as a playable guest character in Mario game Super Smash Bros.), will he be able to make as big an impact on the TV market after what will have been over 8 years away?